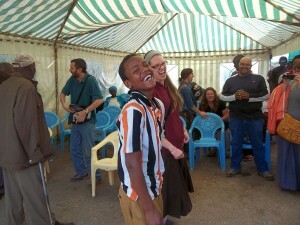 What an incredible Sunday for the Kenya team! We began the day with an English service at the local Africa Inland Church. The building was filled with students from the Kijabe Girls High School. More and more people filed into the building as the morning went on. Packed in the church, we worshiped through songs such as “You Are Holy” and “Create in Me a Clean Heart.” The whole church swayed as we raised our voices to the Lord. Two groups from the Kijabe Girls High School sang for the congregation this morning. We were so blessed by their beautiful voices. The sermon was focused on James, chapter one. The pastor encouraged the congregation to listen to the Word of God and most importantly, to act on the Word of God. 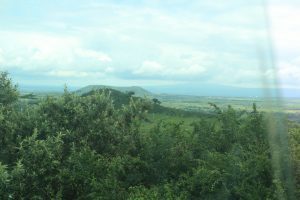 We had the opportunity to see this teaching in action at Rift Valley Fellowship where we attended an afternoon service. 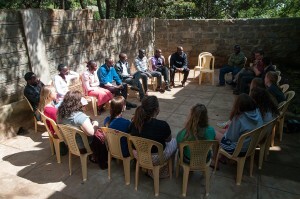 The Kenya team was able to interact with several of the young people in the youth group at RVF. Several of them were orphans and others were what Isaac called the “Street Brothers.” The Street Brothers are young men who have run away from home because of poor family environments or other problems. Most make their living by stealing from people. After many of these boys began attending RVF, they accepted Christ and now desire to have a different lifestyle. RVF is helping these young men by providing them with meals, a place to shower, and activities to fill their day. One of these activities is dancing. We were privileged to watch these young men dance in the service today. What an encouraging thing to see! 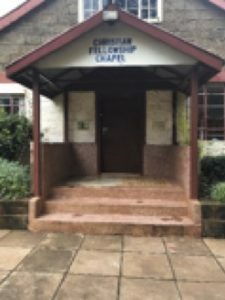 Rift Valley Fellowship is so appropriately named. In our debrief tonight, we all commented on the fellowship and connection that seemed to cover the entire service. Not only was there a close community among RVF congregation, but also in the welcome we received. It was as though we had been going there for months! Present under one tent were Kenyans, Americans, and Canadians, and yet we all felt such a strong connection. Our bond as brothers and sisters in Christ transcended geographical, cultural, and economic bounds. One woman prayed over us in Kikuyu. Although we did not know what she was saying, our heavenly Father did. Language is no boundary for the Holy Spirit! As the service came to a close, we were able to speak again to the women we met last Thursday as well meet new people. The Street Brothers showed us dance moves, the women showed us their handmade baskets and purses, and the children grouped together begging to have their picture taken. So much joy was present in that small tent in Maai Mahiu, it was hard to believe that just on the other side of the building was so much pain and suffering. As we all waved goodbye to children and took a few last minute pictures upon request, we all filed into the vans to come back to Daraja House. It was so difficult to leave such beautiful people behind. The last thing one young man told us was, “I will see you again!” It pained my heart to think that I may not see some of these people again. But I was reminded that, as Christians, it is never the end! Yes, we may not see these brothers and sisters in this life, but we can rest assured we will see them in the next. We had spent the last few hours worshiping together as brothers and sisters. Language, hometown, culture, and economic status did not matter. Our hearts were united as we worshiped the same God. Isn’t that what heaven will be like? The desire to worship our Savior will be all that matters. Today, the Kenya team was blessed with a little taste of heaven. You're a blessing to all honored to know and love you!